Adobe Muse is undoubtedly one of the best platforms, which was specially developed to cater to the needs of web designers, who aim at creating genuine masterpieces. Although, the software implies the awareness of certain graphic skills, it is still easy to use and understand it. The amazing set of features and options makes it possible for knowledgeable web designers to develop websites without using the help of web developers. This is an ideal tool for creating static and informative websites, the mission of which is to strike the users with their design. Are you excited to have a look at the examples of websites created with Adobe Muse? This is exactly what we are going to do right now! Listed below are the best samples of projects, which were developed on the base of this platform. 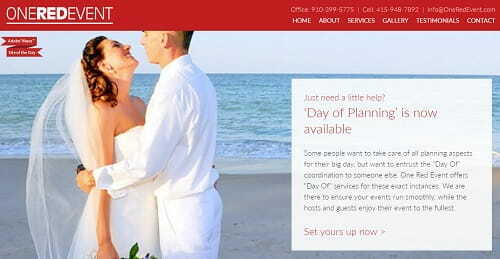 Oneredevent.com is a website of the event planning agency belonging to Katey Dennett. The red-and-white color scheme of the website, its design and feature set adhere to its major specialization. This creates festive atmosphere and encourages to keep browsing the website and get in touch with the agency. The website contains several menu categories, each of which is a must-have for an event planning website. These are About Us, Gallery, Testimonials, Services and Contact Pages with Google Maps integration for the ease of use. What else does a user need to find out all the required information and make the decision regarding the further use of the website? 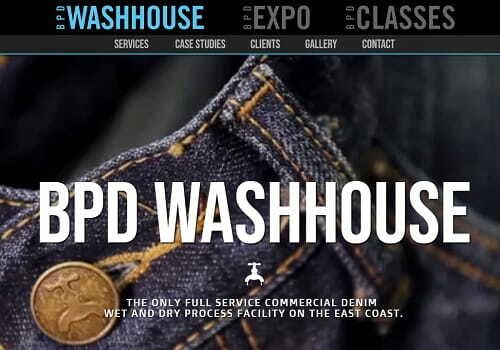 Bpdwashhouse.com is a full-service denim dry and wet process washhouse that offers a broad spectrum of services at affordable cost. The background homepage video is the very first thing that catches user attention, when visiting the website. The list of the services as well as their detailed description are available directly at the homepage of the website to simplify users’ search and make it more convenient. 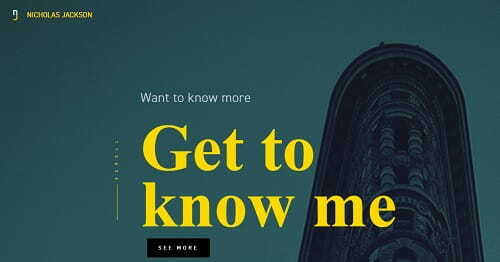 The highlight of the website is its “How We Do It” section, which provides users with the most widespread problems and the ways of their solution the washhouse practices. The Gallery speaks louder than hundreds of words, depicting the stages of the washing progress in action. 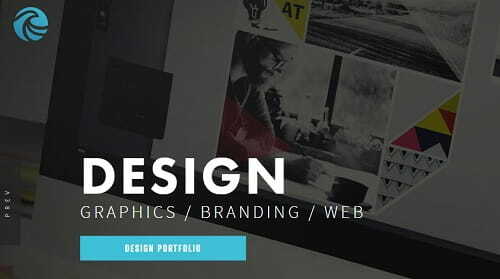 A nice sample of the Adobe Muse website! Ncholasjacksondesign.com is a branded content studio owned and managed by Nicholas Jackson – creative leader, storyteller, innovator and talented photographer. The author tries to reveal his vision of the surrounding world through the manifestation of his works at the website. The project is accomplished in the black-and-grey color scheme with bright coloured photos emerging as you scroll down the page. The Work Section features the drop-down menu, displaying the works of the author. There is also the Contact Page, where you can come across Nicholas’ contacts to be able to get in touch with him, when needed. This is a worthy sample of a website created with Adobe Muse. A single glance at Seaislandmedia.com creates an impression of professionalism and credibility. This is the website of the creative marketing studio working on the development of high end media content projects, including photos and videos. The website looks decent and appealing – all the required elements are on their places here. The home page enlists the major areas of studio’s specialization, high quality images as well as Recent News section. There is also a high end portfolio of projects created by the studio. The Blog is available here as well to provide informative niche-related posts users may be interested in. It is possible to get in touch with the specialists by using the contact details available in the Contacts Section or via the social media buttons accessible at the website. For everyone, who has an intention to train his/her dog, Lonelyhuntersdogtraining.com is a great place to start. This is the website of Eleanor Post – the dog training specialist – who offers a variety of programs to choose from. The choice should be based on the breed of a dog as well as on the results you expect to avail. By scrolling down the homepage, you can find out useful information about the dogs Eleanor works with, the services she offers in each particular case and the types of training programs you may choose from. Do you have any questions left? Or, maybe, you wish to get in touch with the trainer herself? Then use the Contact option available on the bottom of the homepage as well as in the corresponding section of the menu. Car fans looking for interesting opportunities to give their automobiles unique and personalized look, will be pleased to deal with Expressioncarwrapping.co.uk. This is the workshop, which makes it possible to give your car a brand new look without the need to repaint it. 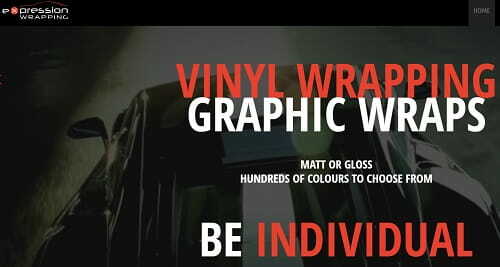 Instead, you may choose between multiple car wrapping options to gain individual automobile design. The website catches the attention from the very first glance by its live video background that takes your breath away, while you look at it. As you keep browsing the resource, you’ll find out useful info about the available wrap types and techniques. There is also an opportunity to view the gallery of ready made projects and reach the Contact section to learn the contact info. The website creates interactive, pleasant and intriguing impression. Fitnessboxx.com.au is an attention-grabbing and full-featured website of the personalized fitness coaching company for men and women, who are the fans of active lifestyle. This is the place, where you can find out the secrets of healthy and effective weight loss. The very first thing you come across on the homepage is an opportunity to book a free discovery session to find out how to change your life for the better by visiting the fitness studio. There is also an informative video about the company, which covers all the nuances you may be interested in. The website abounds in text and video tutorials, services reviews, success stories of other users. There is even a timetable to let you known about the training schedules for different groups and individuals. This is a convenient solution for website users! The fact that Adobe Muse was created with the interests and needs of professional web designers in mind, makes the user expect more graphic design features from the websites created with this program. This is exactly what Bag Along lacks to some extent right now. The rest of features are quite ok and meet the web browsing needs of users. Regardless of the amount of elements and versatility of content, there should be at least one feature, which will make the design of the site outstanding (in this case, it is the “drag-to-rotate” option we have mentioned above). Caseyherman.com is an Adobe Muse-based website of Casey Herman, a talented graphic designer and a deep thinker. The website is structured in a way, which makes users feel encouraged to continue browsing through its pages. Right from that start, visitors get to the homepage that features a large photo and a name of the owner. As they continue to scroll down the page, they are offered the examples of owners’ works. This is very convenient and helps a user define whether the further cooperation is possible or not. One of the most successful examples of personal websites, the elements of which are all in their places! What else a user needs to make a reasonable decision? The examples of websites reviewed in this article prove that Adobe Muse is a number one tool for those users, who can boast some graphic design skills and experience. If you are lucky to be one of these people, then you are welcome to use the tool to create a real masterpiece, which will not leave your visitors indifferent. Otherwise, the feature-intense and somewhat complicated platform may become a real challenge for you. Keep this in mind when choosing the software for your web design needs!